Ruby is a medium intensity striking ruby. It is good for most blown work and can be worked relatively thin without washing out. Because it is more saturated, C3-07 Ruby must be worked in a moderately oxidizing flame to prevent muddying or liveriness. To strike C3-07 Ruby, a kiln is recommended. For a great color combination, try layering C3-09 Yellow over C3-07 Ruby. 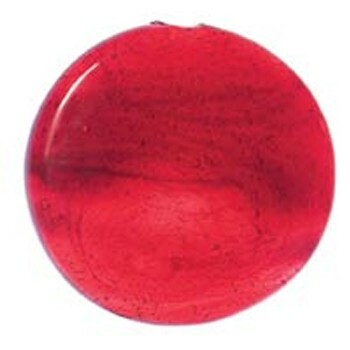 For extra brilliance, back the ruby with an opaque such as C3-44 Caramel or C3-62 Bubblegum. For more information about working C3-07 Ruby refer to Northstar Newsletter issue 8.